Does this look a little familiar? Sometimes one gets lucky. 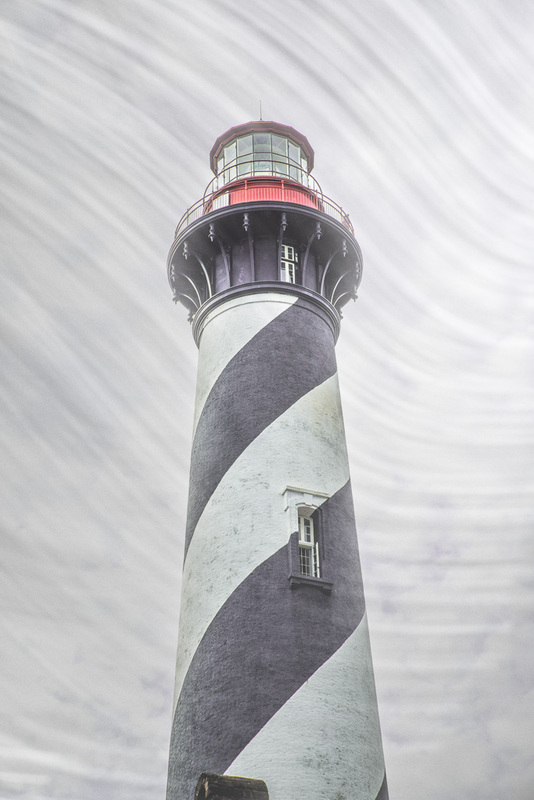 This image is a multiple exposure of the St. Augustine lighthouse combined with a B&W version of yesterday’s post. I thought that that the unknown swirl image posted yesterday would make a good texture background for something. I combined it with an image taken just a few frames earlier. Magic happens sometimes. Lesson Learned: Take what each moment brings you and cherish it. This entry was posted in Abstracts, Architecture, Structures and tagged lighthouse, Red, St. Augustine, texture on February 7, 2015 by kgrafphoto. I haven’t been very active in expanding my photographic knowledge and experience during the last several months. Something was always in the forefront. I fell into a real slump. When I did shoot, nothing seemed to pop out to me. I continued following my favorite photographers on-line and became more and more envious on what they were doing. My work seemed to be so mundane. Today, I took a few moments to look back on some of my work last summer. 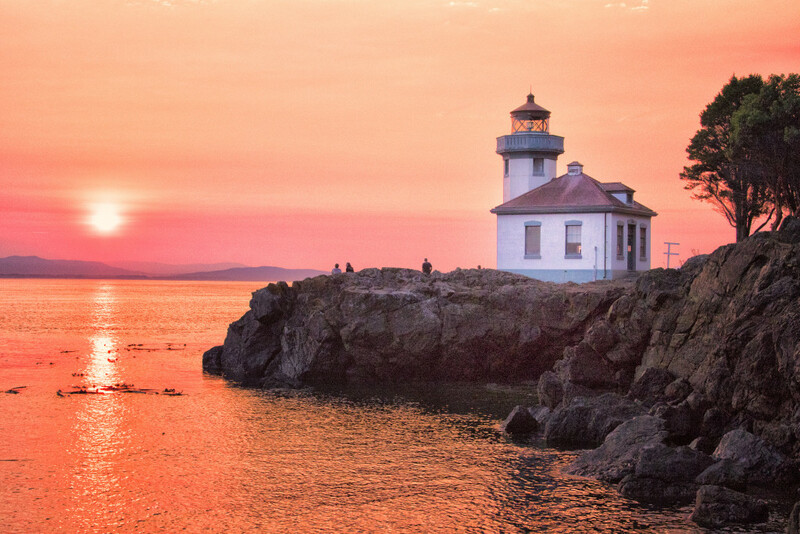 I saw this image of the Limekiln Lighthouse on San Juan Island and felt that it wasn’t so bad after all. It provided me with a stimulus to go back out and continue to shoot and enjoy the outdoors that I love. 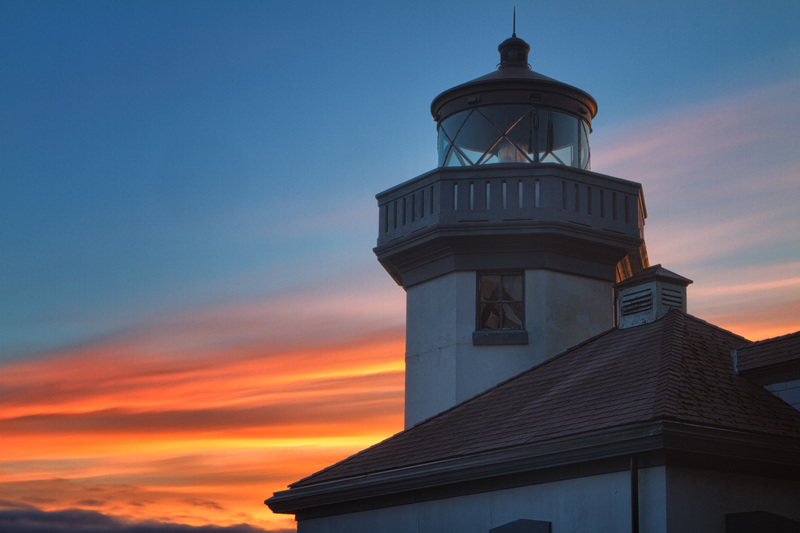 This entry was posted in Architecture, The Grand Landscape and tagged lighthouse, Limekiln Lighthouse, San Juan Island, sunset on November 8, 2013 by kgrafphoto.